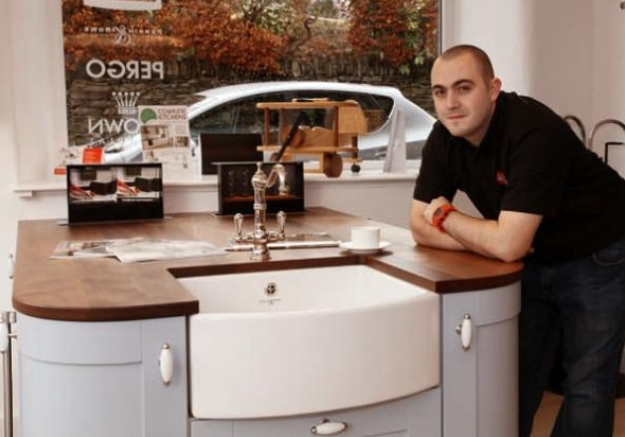 Since establishing Lakeland Fells Furniture in 2004 when Andrew was just 21 he has built a reputation for the design and creation of quality furniture built to exacting standards designed to meet his clients needs and budgets. Andrew’s team manufactured the furniture for the luxury Cedar Manor Hotel which, with local design team Fidget, won the international award for the best hotel interior and which continues to win awards based on its superb interiors. What often first catches the eye of those visiting the showroom is the sit-on wooden aeroplane or rocking horse, originally designed with his children mind, but clients attention quickly strays to the superb range of specialised furniture including an intriguing cocktail cabinet to a full home entertainment setting. Whatever the space Andrew and the team will find a solution. The toy concept developed from the production of small toy cars from off-cuts was expanded to include a place to put them - wooden toy boxes. "There’s nothing we cannot make in wood, from a toy car to a spiral staircase" says Andrew "with every item receiving our specialist and dedicated attention to detail". The former Kendal College cabinet-making student launched a separate kitchen design and fitting division, Special Spaces, materially extending the bespoke furniture offering to provide the very best of modern kitchen units and appliances. The Special Spaces showroom is a short distance from the furniture workshops, the base for Andrew’s team of young craftsmen. “This is a field where it is hard to be taken seriously when you’re young”, says Andrew. “But I don’t believe that traditional craftsmanship is anything to do with age, it is about the application of skill, an understanding of the materials and a desire to exceed the expectation of our clients. Our team has developed from apprentices to craftsmen and each bring their individual skills to the products created." Andrew lives in Windermere with wife Donna, daughters Betsy and Molly and the family Golden Retriever, Florence. Their home is now the original presbytery built to serve the new Roman Catholic Church built in the late1890's but later adapted to become Convent La Sagesse and, finally, home to the Sisters of Wisdom before the Diocese of Lancaster sold the property to Andrew in 2016. Much work has subsequently been undertaken by Andrew, his family and his team to transform the property into that of a superb family home.